Euronews, a private media venture which benefits from substantial EU funding, has in recent years been destabilised by the arrival of foreign investors. The latest episode is the current closure of the Ukrainian service, due to lack of financing, and the lay-off of 17 journalists. The Russian service of Euronews has five job openings, but refuses to take any of the 17 journalists from the Ukrainian department. The management explained that not hiring any Ukrainian journalists was a specific instruction from the Russian shareholder (Russian state TV). The journalists have argued that not proposing positions available within the company to people facing job cuts is a clear violation of the French labour legislation, not even to mention the company’s ethical responsibility towards people who have all worked here for over five years. However, the management has responded that Ukrainian journalists could not work for the Russian service “because their cultural background is too different”. Journalists have rejected the explanation as ridiculous. In fact, the journalists from both the Ukrainian and the Russian teams were born in the ex-Soviet Union and thus share more or less the same cultural, educational and other backgrounds. During discussions, journalists referred to the English service that over time has had journalists from Australia, New Zealand, Southern Scotland, Ireland, USA and even France, and the differences in their cultural backgrounds have never been an issue. Moreover, cultural diversity is one of the core values of Euronews which makes us the broadcaster different from other channels, as the company’s management likes to say. Speaking to euractiv.com, journalists from Euronews who asked not to be named said what was going on was illegal under French law, and that they were determined to fight. Another concern raised by journalists is that the European dimension of Euronews was “brutally disappearing” and that the management was pushing the broadcaster into becoming a “bad CNN”, covering anything else, but not the EU. “If today the management is complying with the Russian demands concerning the choice of journalists, it means that tomorrow all Euronews services may be forced to voice messages of the Russian state propaganda in their respective languages”, a journalist said. The financial situation of Euronews is reportedly destabilised by a €1.5 million fine to AFP Agency for the use of agency videos without authorisation. EURACTIV last year asked Commission President Jean-Claude Juncker if he was aware of some of the problems Euronews is facing. 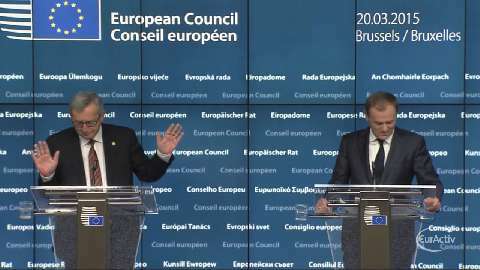 In his typical style, Juncker made jokes, but avoided an answer. 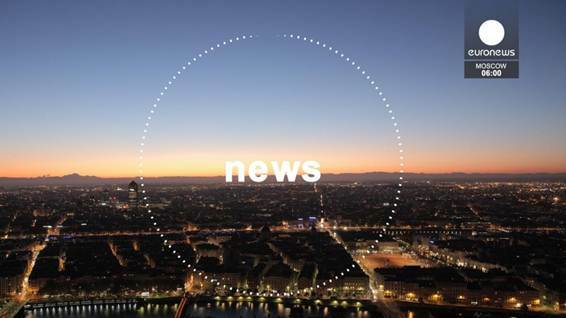 Euronews is a multilingual news television channel, headquartered in Lyon-Écully, France. Created in 1993, it is an alliance of some 20 public broadcasters which aims to cover world news from a pan-European perspective. Naguib Sawiris, an Egyptian billionaire, has taken a 53% stake in Euronews in 2015. 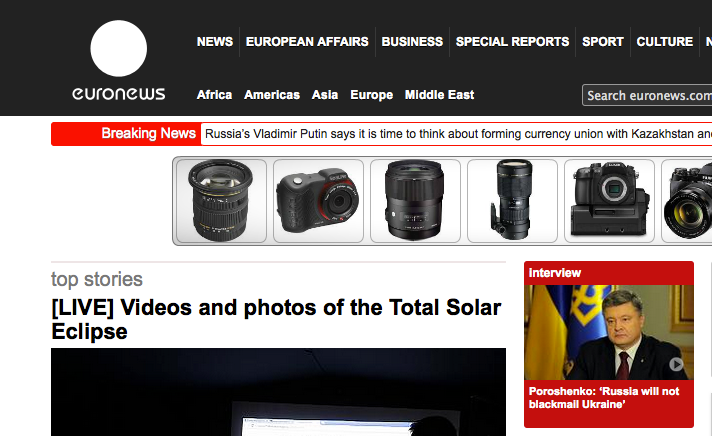 The Ukrainian edition of Euronews was opened in 2009, with Ukrainian public financing. In February 2015, an Egyptian investor, Naguib Sawiris, bought a 53% stake in Euronews, and on 13 March 2015 it was announced that Inter Media Group, owned by Dmytro Firtash, a Ukrainian oligarch, had taken over the Ukrainian service. In February 2013, Firtash bought Inter Media Group Ltd., which owns eight television stations, for $2.5 billion from ex-First Deputy Prime Minister Valeriy Khoroshkovskiy, who was in charge of the secret services of the then-President Viktor Yanukovich. This has led to Ukraine banning Euronews on its territory. Considering the control by the various owners over the journalists, perhaps Euronews should be shut down.